The code is heavily reliant on the Crypto++ library in order to convert the calling password to a SHA1 hash. I have also only tested the code on x64 architecture, so I’m not sure if it will even work on 32-bit systems. Then, edit the Library Directories and add the Debug directory from the x64\Outputdirectory. The implementation of the DLL is the easy part, save for downloading some rather large text files – whether you’ve compiled the code yourself or downloaded a release, the implementation process is the same. As the solution is entirely on-premises, you need to download the 3 breached passwords zip files from HaveIBeenPwned and extract the plain-text documents to the C drive (the file path is customisable if you compile the code yourself, but not if you download the Release). Note that you don’t have to do this for all Domain Controllers if you set up the DLL to read from a network share before compiling. The DLL name needs to be added to the multi-string “Notification Packages” subkey under HKLM\System\CurrentControlSet\Control\LSA – note that you only need to add the name of the DLL, not including the file extension. Reboot the PC(s). 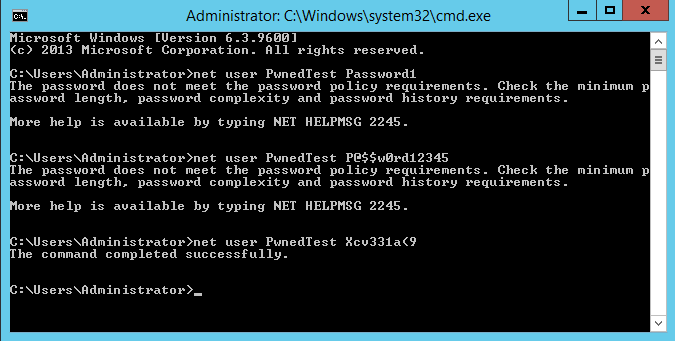 Any password change request should now be filtered through the DLL.